Help Tidus and Aira bring the dragons and elves together again! 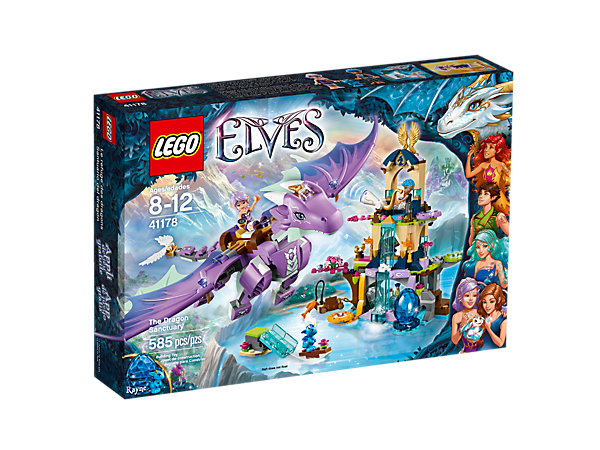 Help rebuild the bond between the dragons and the elves at the Dragon Sanctuary. Fish with Tidus on his raft, then blow the sacred horn to call the dragons. 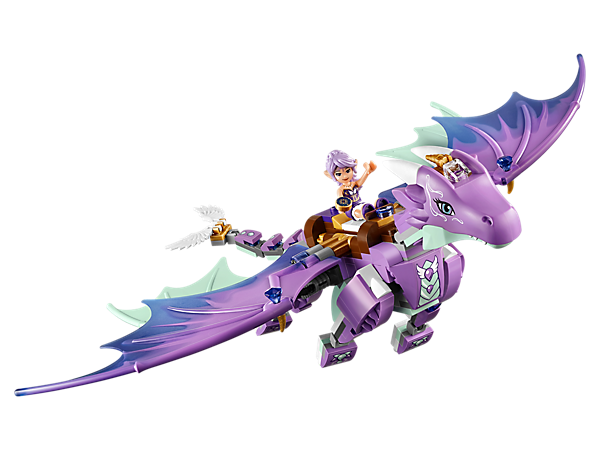 Ride with Aira on Gust the 4-winged wind dragon to gain access to the Sanctuary's upper temple, and then help Tidus hatch a plan to help the other elves. Remember to meet Rayne the baby water dragon, and feed her some dragon cherries before you go! Includes Aira and Tidus mini-doll figures, Gust the wind dragon, and Rayne the baby water dragon. Features a 3-level building with space for baby dragon eggs, a waterfall, elevator and a raft launcher. 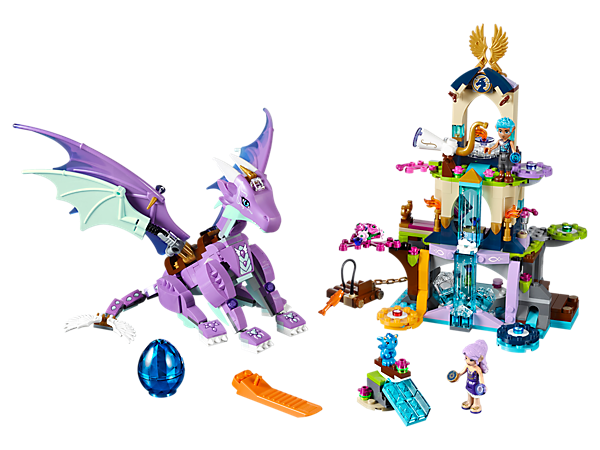 Includes a revolving rock wall, dragon cherry tree, sacred horn and a secret sliding platform. Slide the secret panel out to stand on and pet the wind dragon. Move the elevator up and down with the lever behind the wall. Set up the water slide to send Rayne on a fun raft ride. Accessory elements include cookie bricks, a telescope, compass, map, feather, cup with smoothie, fishing pole and fish, bath with soaps and 2 bath bottles. Dragon Sanctuary measures over 11” (30cm) high, 4” (11cm) wide and 5” (14cm) deep. Gust the wind dragon measures over 3” (9cm) high, 10” (27cm) long and has a wingspan of 13” (35cm).